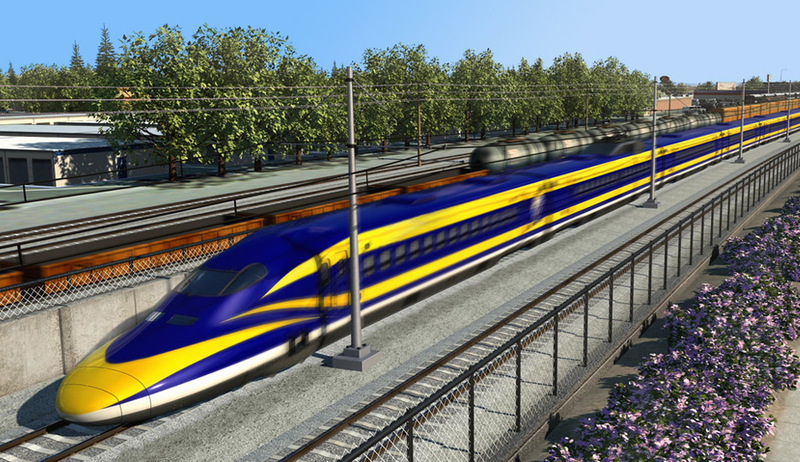 The California High-Speed Rail Authority is developing an 800-mile high-speed train system that will operate at speeds of up to 220 miles per hour, connecting the state’s major urban centers. Design and construction is beginning in the Central San Joaquin Valley, the backbone of the system. Initial Construction Segment 1, the first phase of the project, extends approximately 29 miles from southern Madera County to the City of Fresno. The project is being delivered by design-build contract with a cost of $1 billion for Segment 1. The project will require grade separation of the HSR track alignment and City streets throughout the City of Fresno. The grade separation improvements impact nearly 70 intersections, 19 miles of roadway, facility, intersection safety lighting, the City’s extensive ITS infrastructure, and Caltrans highway electrical facilities. CHS Consulting Group is responsible for all traffic engineering plan development, including traffic signals, roadway and railway lighting, temporary signals and lighting, railroad interconnect and preemption, electrical service planning, highway lighting, traffic operation systems, and intelligent traffic systems within State of California and City of Fresno rights-of-way. CHS is developing and designing interim and permanent ITS system improvements to fiber optic facilities, wireless broadband radio, changeable message signs (CMS), flashing beacons, intersection safety lighting, and vehicle priority systems. These designs are extremely complex, and include fiber optic or wireless radio interconnect, ATMS Traffic Signal Controllers, Communication Controllers, EVP, and IP cameras. Two cross town trunk lines for all City Fiber, and Caltrans’ trunk for the entire State Route 180 Corridor require disruption as HSR improvements tunneled under the highway and fiber, and required the development of a temporary high bandwidth wireless radio system as part of the construction staging improvements.